A ceremony was held in Hanoi on December 12 to mark the 30th anniversary of bilateral cooperation in searching for US soldiers missing in action (MIA) in the war in Vietnam. 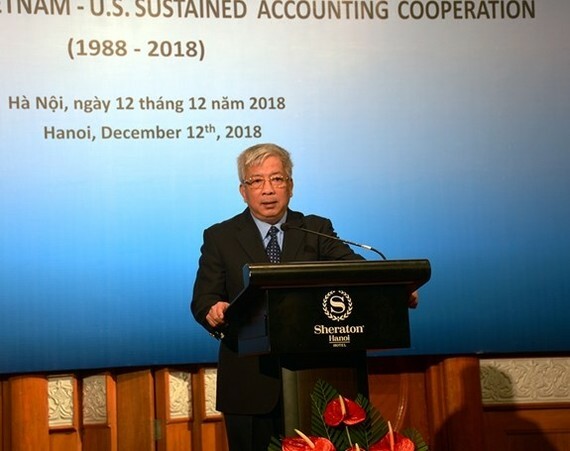 The event was held by the Vietnamese Office for Seeking Missing Persons and the US Department Defence’s Prisoner of War/MIA Accounting Agency. Deputy Chief of Mission at the US Embassy in Vietnam Caryn McClelland thanked the Vietnamese Government and people for supporting the search for MIAs over the three decades. She affirmed that her country wants to continue cooperating with Vietnam in this activity, as well as others addressing war consequences in the Southeast Asian nation. Deputy Foreign Minister Bui Thanh Son said no other bilateral cooperation fields have achieved the level, scale, scope and duration as the seeking of MIA soldiers. The search has helped bring peace to many families in the US and enhanced the two peoples’ understanding of each other’s goodwill, he added. For his part, Deputy Minister of Defence Sen. Lt. Gen. Nguyen Chi Vinh emphasised that searching activities over the last 30 years have helped not only settle war consequences but also opened the door for relations between Vietnam and the US. 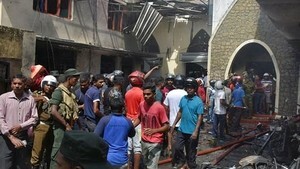 The officer thanked the governments, people, localities and agencies of the two countries for assisting in this activity. He also noted his respect for the US and Vietnamese people who lost their lives in the MIA search. At the ceremony, the US Embassy and the Vietnamese Ministry of Foreign Affairs presented insignias to Vietnamese and American individuals, agencies and localities who have greatly contributed to the work.